Serious sport fishermen, cruisers, sailors and sail racers demand serious equipment. 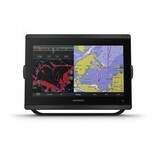 The easy-to-use, easy-to-install GPSMAP 8612xsv chartplotter/sonar combo delivers MFD performance in a combo-size package. It features a 12” full HD IPS touchscreen display for wider viewing angles, superior clarity and sunlight readability, even with polarized sunglasses. Multiple displays can be flat mounted edge-to-edge to create a sleek glass helm look or can be mounted flush. 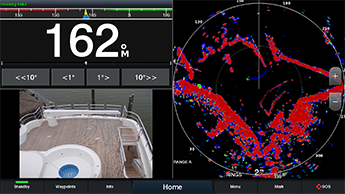 The GPSMAP 8612xsv chartplotter/sonar combo offers built-in support for our industry-leading sonar, including dual-channel 1 kW traditional CHIRP, CHIRP ClearVü and CHIRP SideVü scanning sonars plus built-in support for Ultra High-Definition scanning sonar (no black box required). It also supports the entire Panoptix™ all-seeing sonar line (transducers sold separately). 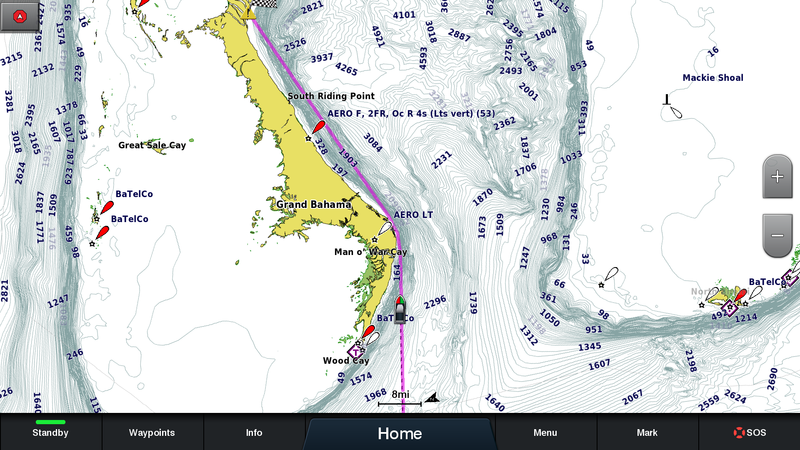 For the most detailed, clear and concise charts and maps, this chartplotter is preloaded with BlueChart g3 coastal cartography and LakeVü g3 inland mapping featuring Navionics data. 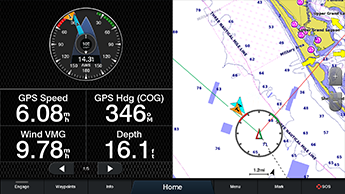 The charts and maps also include our Auto Guidance technology, which shows a suggested route to a destination¹, based on your boat’s specifications. The expandable memory allows you to upgrade your maps with accessory map purchases, such as BlueChart® g3 Vision and LakeVü g3 Ultra. 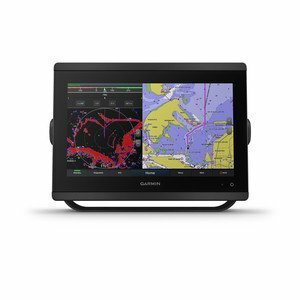 The GPSMAP 8612xsv chartplotter has a premium-performance processor that enables fast map drawing, superior networking, video distribution and more. 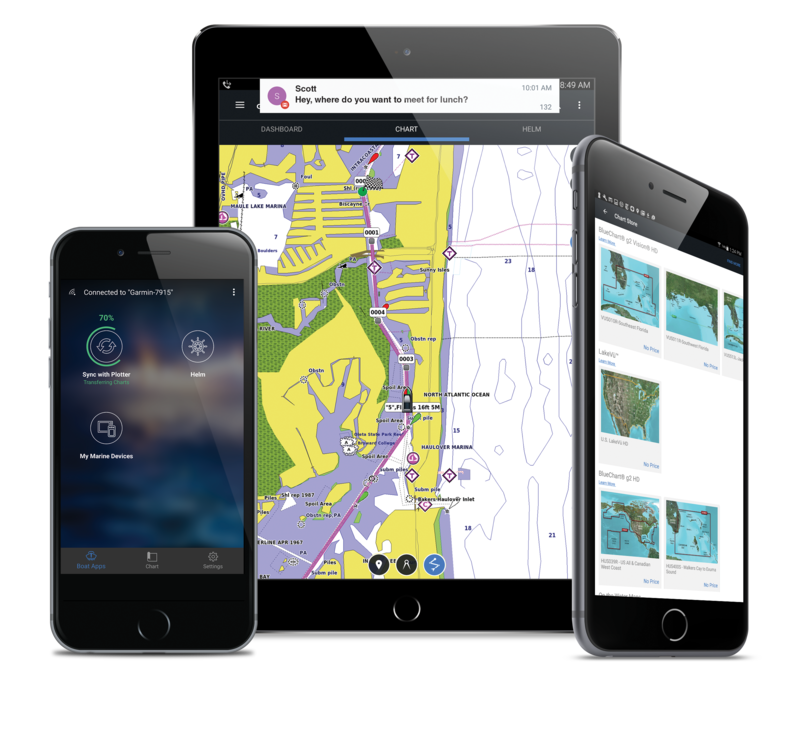 Built-in Wi-Fi technology lets you pair with the free ActiveCaptain® app for access to OneChart™, smart notifications¹, Garmin Quickdraw™ community data and more. You can also control video streaming from our GC™ 100 wireless camera and VIRB® action cameras. In addition, built-in ANT wireless technology connects you directly to our quatix® marine watch, gWind™ Wireless 2 transducer and wireless remote controls. The Garmin SailAssist™ feature provides data, displays and prerace guidance to help you gain a competitive edge. Other sailing features include laylines, enhanced wind rose, heading and course-over-ground lines, true wind data fields and tide/current/time slider. Gauge displays provide need-to-know information at a glance, including true and apparent wind angle, set and drift, true or apparent wind speed, horizontal or vertical graphs and a data bar with customizable fields.